After several such sessions, one day, Surendra, another friend Sagar and I hatched a plan to bunk class and go watch a film. I don’t recall the film we saw but the images--huge, life-size, moving--remain indelible. I was equal parts excited and surprised. Perhaps as entertaining as the movie itself were the whistles from an excited crowd, as was the norm back then--first when the hero made his entrance, then several times when the villain was beaten, ruthlessly. Much has changed in Syangja since. Surendra is married, Sagar is dead and I have moved away. The Saugat Chalachitra Mandir, where I watched my first film, doesn’t exist anymore. In fact, there are no cinema halls in all of Syangja. About 50 metres away, Gurung was basking in the midday sun, reading the review of a recently-released film. Gurung, who is 53, now runs a grocery shop. Gurung opened the Saugat in 1994 and ran it for 15 years before shutting it down in 2013. In that time, the hall screened over 500 films, screening three shows everyday—at 12pm, 3 pm and 6 pm. 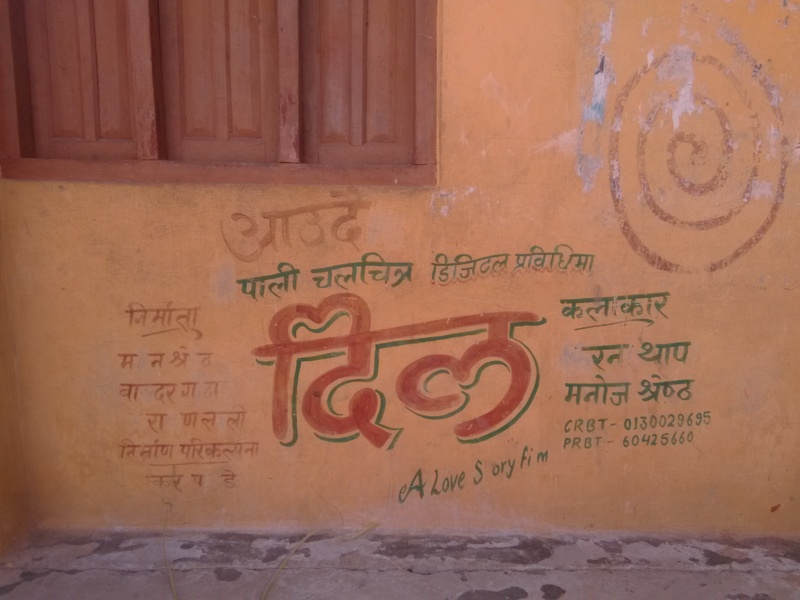 A wall painted with details of a Nepali film Dil at the entrance of Saugat Chalachitra Mandir. Two of his uncles had set up film theatres in Tanahun and Pokhara. Growing up, Gurung would moonlight as a ticket boy and later, as a manager at the now-defunct Tanahun-based theatre, Deepsikha Hall. That was when he witnessed the power of cinema--at the end of some films, most of the audience would be sobbing uncontrollably. With the shutdown of Saugat Chalachitra Mandir, all of Syangja has been deprived of a cinema hall. The entire district, home to 280,000 people, has no film theatre. What, then, does this portend? A disinterest in the art of cinema or a lament for a bygone age in the time of laptops and personal televisions. For cinephiles like Surendra, there is nearby Pokhara--about two hours away--for a chance to sit in the dark of a theatre and watch a film come on.